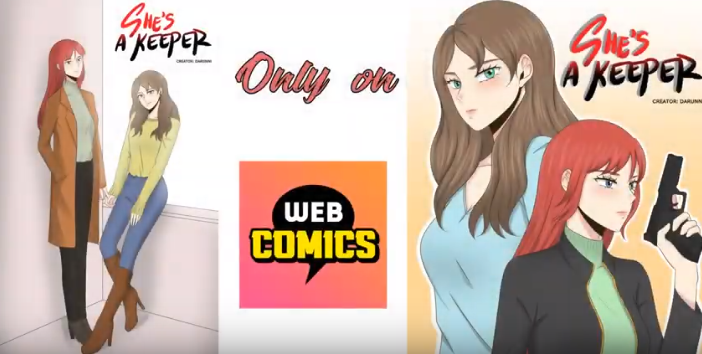 A trailer video was uploaded on Monday for the upcoming 24th episode of Darunni’s GL webcomic series She’s A Keeper. The new episode will be released on Wednesday, April 10. The trailer was created and uploaded by Zoey Medic. The rate of kidnapping in Phili has been going crazy. Clara del Samson happens to be a daughter of a multi-millionaire businessman. Meanwhile, the Keeper Corp is best known for their“Keepers” who are experts at protecting elites; one of them is Keeper Elle- who was hired to protect Clara. Next The Lily Cat Podcast Episode 4 – A Talk on Covering Events with Jay Agonoy of keepsakes.